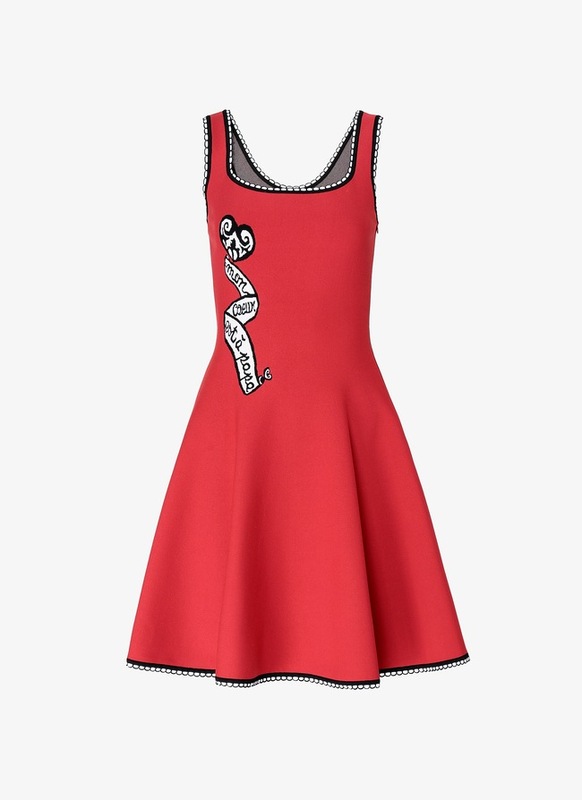 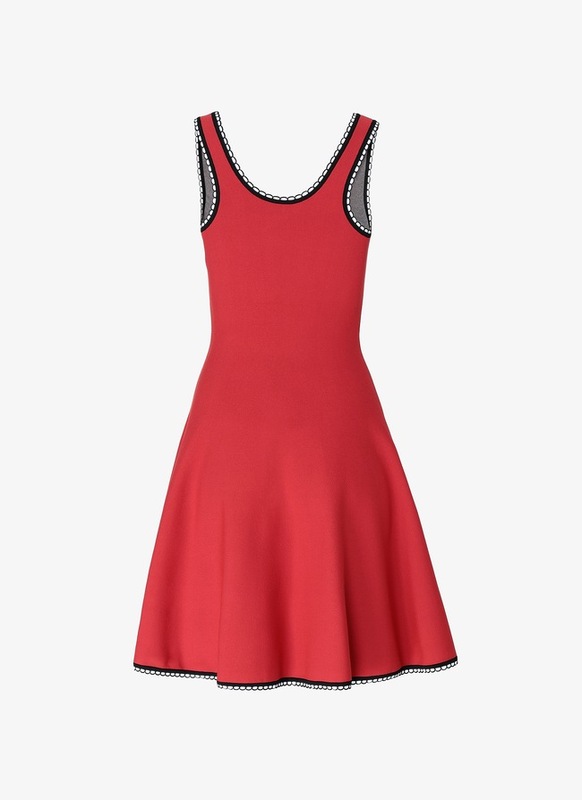 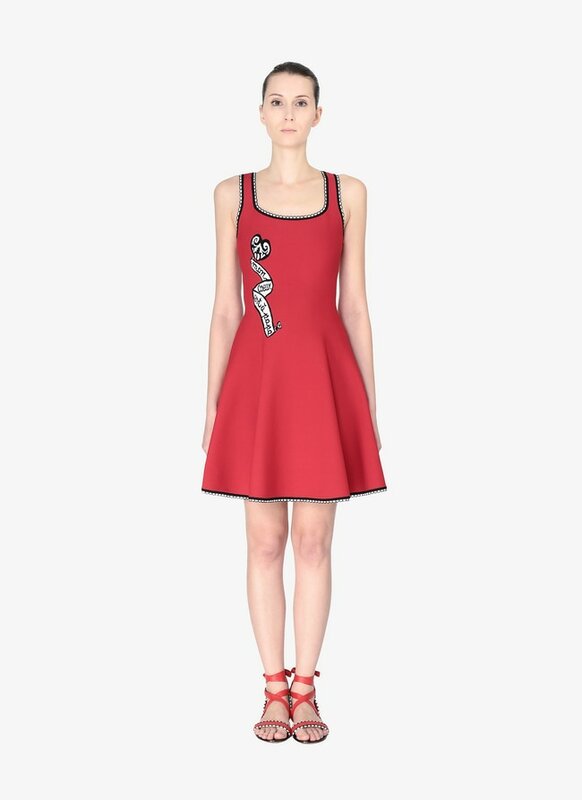 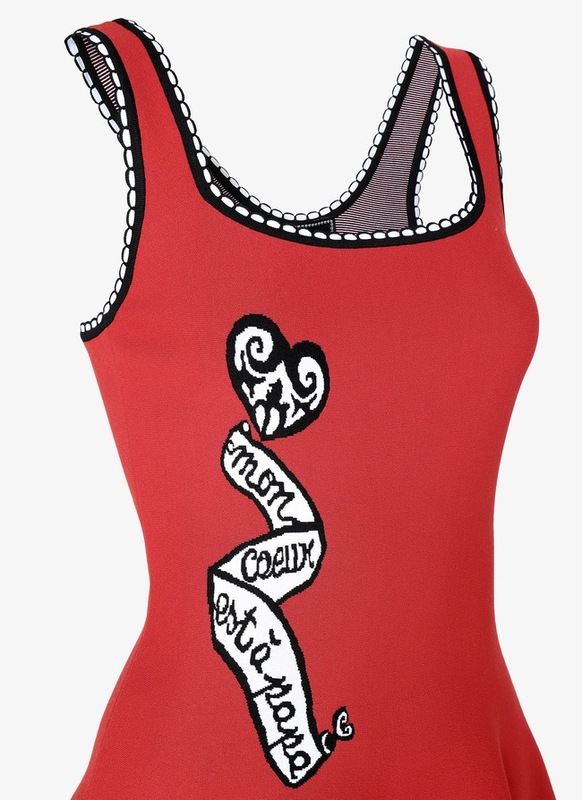 Sleeveless Alaïa dress in viscose blend with exclusive "Mon coeur est à papa" motif. 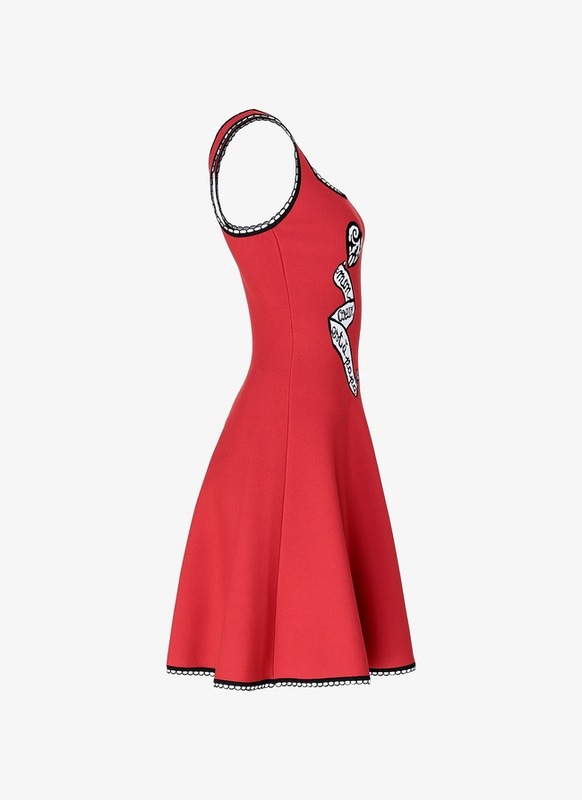 Flared line and square neck. 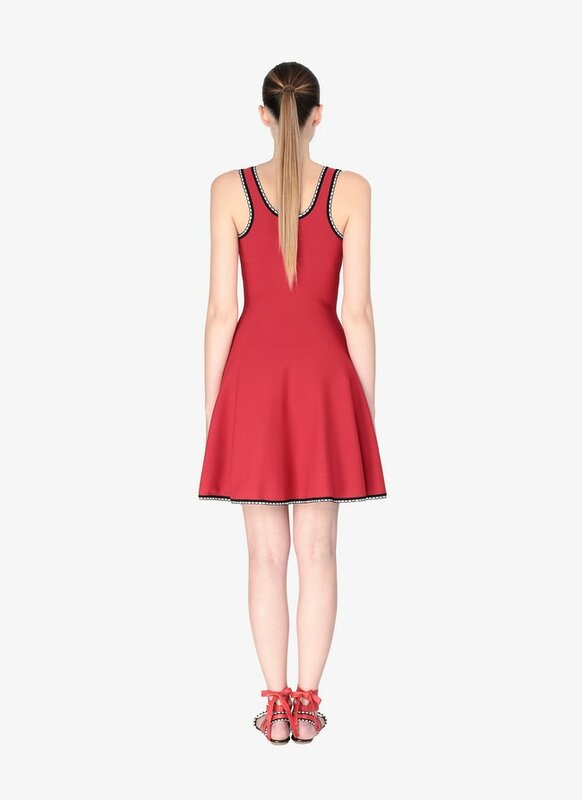 Above-the-knee length.